If your financial situation needs to be improved, these are the times when it becomes important to eat as healthy as possible, this to avoid any prolonged illness that you can’t definitely afford. Once you keep yourself healthy from within, you’re in a better position to fight off any ailments, allowing you to concentrate on your financial difficulties. It’s possible to eat on the cheap, feeding on nutrient rich foods, while saving money during the process. The formula becomes to eat as healthy as possible, while getting regular routine exercise. Most forms of exercising doesn’t cost anything, while you can plan to eat minimal and healthy. Apples are extremely rich in antioxidants, dietary fiber, and flavonoids. They’re low in sugar while high in soluble fiber, so what they’ll do is fill you up quickly, while stabilizing your blood sugar levels. Other than fiber, what apples contain are other important nutrients such as vitamin C, the B-complex vitamins, potassium, calcium, and phosphorus. Apples can be enjoyed at any time during the day. They’re also excellent juiced or added to a smoothie. 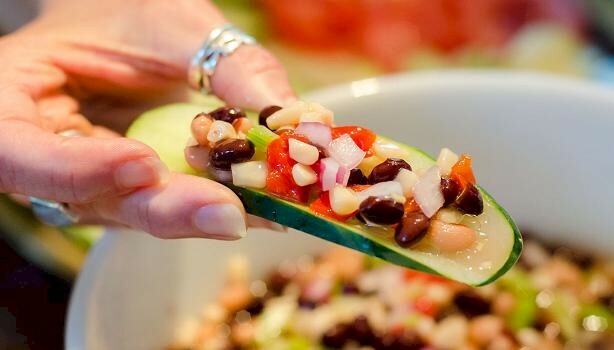 What eating ½ cup of beans, does is provides just as much protein as eating an ounce of lean meat, this without the saturated fat, while being much lower in cost. Beans are loaded with fiber, iron, magnesium, folate, and potassium. The fiber keeps you feeling full for longer, so you won’t eat as much during the day. What’s beneficial is cooking your own dried beans, while the canned variety is good as well. They can be easily added to salads, or put into soups and stews. A popular whole grain that’s affordable is brown rice, which is also extremely versatile as it can be added to almost any dish as a compliment. This high fiber food source is excellent for digestive health, which keeps you full. 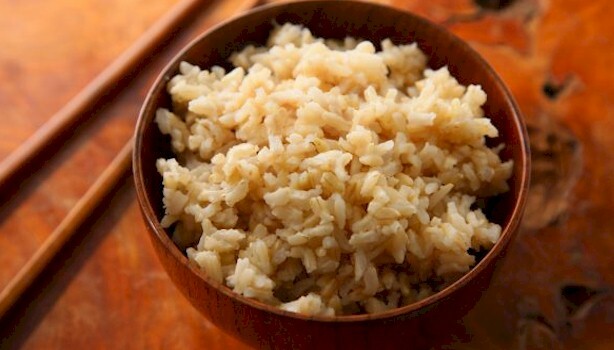 What brown rice also contains is manganese, which synthesizes body fats while keeping your weight in check. What unrefined whole grains such as brown rice does is reduces arterial plaque buildup, which reduces the risk of heart disease while lowering cholesterol. The selenium it contains reduces the risk of contracting illnesses such as heart disease and arthritis.